See more objects with the tag domestic, food preparation, protection, tool, work, eating, food, rough, survival, jagged, medicinal. It is dated 1.85 million years old. Its medium is volcanic rock (nephelinite). 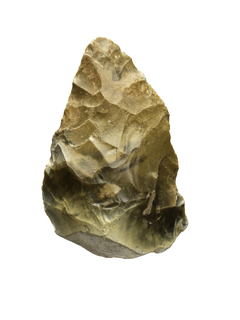 Tools crafted and used by our human ancestors appear in the prehistoric record dating back at least 2.6 million years; the earliest tools were made of stone. 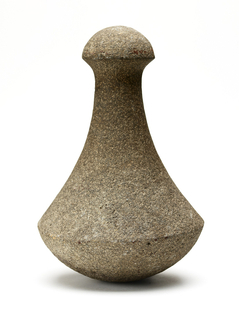 This simply altered stone, called a "chopper", from the famed archeological site Olduvai Gorge, Tanzania, is around 1.85 million years old. 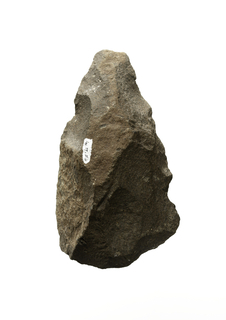 The discovery of such artifacts at Olduvai Gorge gave the name to the world’s oldest Stone Age technology, the Oldowan. 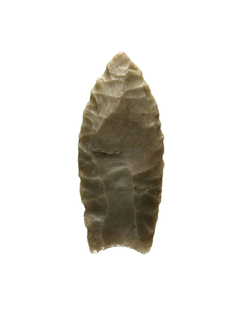 Choppers were made using a hammerstone to knap, that is, repeatedly striking off sharp, useful flakes along an edge. 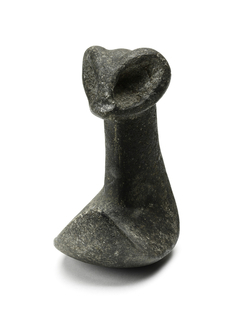 The stone is a volcanic rock called nephelinite, from a lava flow south of Olduvai. 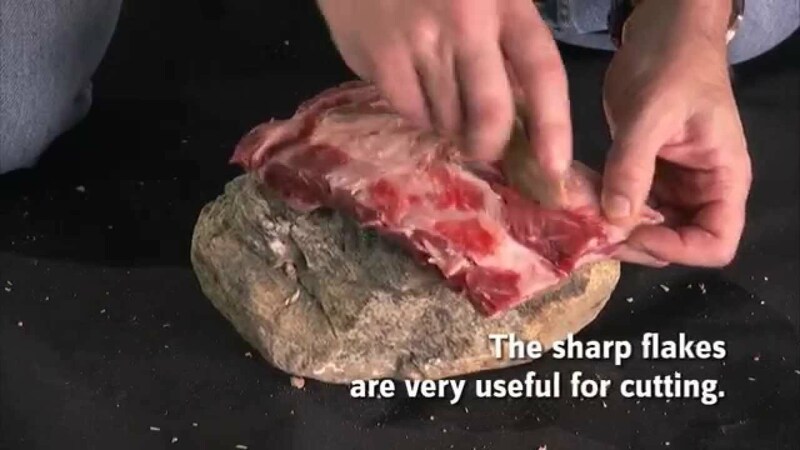 This basic technology, which produced tools for cutting, pounding, and crushing, enabled humans to obtain new foods and increase the amount of meat, tubers, and roots in their diet. 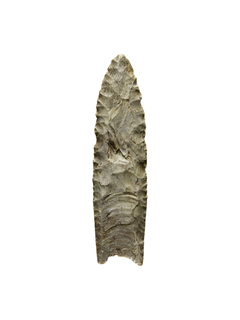 It is credited Department of Archaeology, National Museum of Natural History, Smithsonian Institution, Control number: 2065648, Field number: I-EgMK. We have 1 video that features Chopper (Tanzania), 1.85 million years old.